Yesterday, for the first time, a circuit court nominee reported to the floor with bipartisan support has been successfully filibustered, breaking long-standing tradition and further shattering public confidence in the ability of the Senate to function responsibly within our democratic system. This partisan action marks a new low in the politics of obstruction, hindering the process of putting judges in empty federal court seats across the country. Oklahoma Judge Robert Bacharach was nominated for a seat on the U.S. Court of Appeals for the Tenth Circuit. He was a noncontroversial nominee, rated unanimously “well qualified” by the American Bar Association, supported by his conservative home state senators, and reported out of the Senate Judiciary Committee with overwhelming bipartisan support. However, earlier this summer, Senate Minority Leader Mitch McConnell (R-NV) invoked the so-called “Thurmond Rule,” to delay judicial confirmations before the election. Efforts to block Bacharach were in full force Monday night. Bacharach was four votes shy of the sixty needed for cloture. Tom Coburn (R-OK) and James Inhofe (R-OK) turned their backs on Bacharach by refusing to vote in favor of the nomination and instead voted “present.” Republican Senators Scott Brown (MA), Olympia Snowe (ME), and Susan Collins (ME) voted with Democrats to end the filibuster, while Senator Orrin Hatch (R-UT) also voted present. The blocking of Bacharach indicates that the Republican leadership has indeed drawn the line in the sand: No more circuit court judge confirmations during an election year. It also sends the message that partisan political games are more important than justice for ordinary Americans. Now people living in the Tenth Circuit, which covers the states of Oklahoma, Kansas, Wyoming, Utah, Colorado, and New Mexico, will continue to suffer a vacancy on the appellate court that hears their cases. What does this mean for other states? Three other circuit court nominees pending on the Senate floor, and four in committee, will not be confirmed this year simply because partisan forces have decided to keep the Senate from doing its job while they wait and see what happens in November. This compounds an overall and ongoing vacancy crisis in the federal courts. Due to a pattern of Republican obstructionism over the course of the Obama administration, only 154 of President Obama’s circuit and district nominees have been confirmed, while President Bush had seen 197 confirmations at this point in his first term. President Obama could be the first President in at least 30 years to complete his first term with more judicial vacancies than when he took office and Americans with cases in our federal courts will have to wait longer and longer to seek justice. The question now is whether Senate Republicans will vote in support of an unquestionably qualified, consensus nominee. Earlier this summer, Senate Minority Leader Mitch McConnell (R-NV) invoked the so-called “Thurmond Rule”, an informal call to arms for Republican senators to block judicial nominees before the election so as to keep seats vacant for a potential future Republican president to fill. If Republicans were to block Bacharach, however, it would be first time a circuit court nominee reported to the floor with bipartisan support has been successfully filibustered. Blocking the confirmation of Judge Bacharach would add yet another obstructionist precedent to the growing pile of similarly inglorious precedents four years in the making. The net effect of this obstructionism has been to keep dozens of judgeships unnecessarily vacant. These efforts have gone far beyond simple political retribution. Indeed, by July 26, 2004, 197 of President Bush’s circuit and district nominees had been confirmed. By July 26 of this year, only 154 of President Obama’s circuit and district nominees have been confirmed, more than 40 confirmations fewer than at this point in President Bush’s first term. Due to Republican obstruction, President Obama will be the first President in at least 30 years to complete his first term with more judicial vacancies than when he took office. Simply put, it’s time for Senate Republicans to stop playing politics with the federal judiciary and start confirming nominees who everyone agrees would be great judges and who are desperately needed in courtrooms around the country. Click here to tell your Senators to end the filibuster of Judge Bacharach. For more information on vacancies and pending nominees visit AFJ’s Judicial Selection Project. According to the Administrative Office of the U.S. Courts, Judge Michael Melloy of the United States Court of Appeals for the Eighth Circuit will take Senior Status on January 30, 2013. 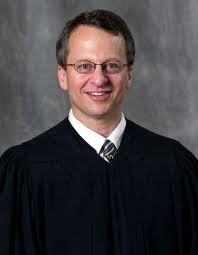 President George W. Bush appointed Judge Melloy to an Iowa-based seat on the court in 2002. The vacancy presents President Obama with his first opportunity to nominate someone to the Eighth Circuit, which has jurisdiction over seven states: Minnesota, North Dakota, South Dakota, Nebraska, Iowa, Missouri, and Arkansas. The court, which has 11 active judgeships, is the most Republican-dominated circuit in the country, with 9 Republican appointees and 2 Democratic appointees. It also has the worst gender balance of any circuit, as its sole female Judge, Diana Murphy, is the first and only woman ever to sit on the court. This evening the Senate confirmed Judge Michael Shipp to the District of New Jersey after Judiciary Committee Chairman Patrick Leahy (D-VT) asked for, and received unanimous consent to withdraw the cloture motion on Judge Shipp’s nomination and to proceed directly to a confirmation vote. Republicans forced Majority Leader Reid (D-NV) to file cloture on Judge Shipp’s nomination last week because of a dispute on an unrelated bill. This is not the first time that Senator Reid has been forced to file cloture on long-pending, exceptionally qualified nominees. In March he filed cloture on 17 nominees, after Republicans slow-walked confirmations for much of the early part of the year. Now that Judge Shipp has been confirmed, there are 20 judicial nominees awaiting final confirmation votes, including 10 who would fill “judicial emergency” seats. The Senate should move quickly to confirm the pending nominees who are only waiting for their final votes — almost all of whom have strong bipartisan support — before the upcoming August recess.